New York, NY Siemens served as a technology partner for implementing building automation, fire safety and security solutions, helping to make Carnegie Hall more energy efficient, safe and secure. 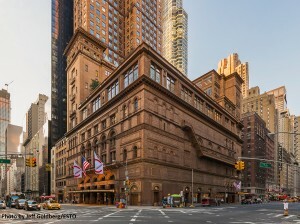 Carnegie Hall, the 125-year old NYC music venue, was awarded the Leadership in Energy and Environmental Design (LEED) Silver Certification from the U.S. Green Building Council, making it one of the oldest and most notable buildings to achieve such distinction. This milestone was achieved in part through a close collaboration with Siemens, which was enlisted as one of Carnegie Hall’s technology partners to modernize almost 165,000 s/f of non-performance space. The certification came to fruition following the fall 2014 completion of Carnegie Hall’s Studio Towers Renovation Project (STRP), an infrastructure upgrade for two towers originally added atop the famed concert hall at the end of the 19th century. A central focus of this comprehensive renovation was the addition of the new 60,000 s/f Resnick Education Wing, located on the Hall’s upper floors, as well as the refurbishment of the Hall’s backstage areas. In addition to its programmatic importance to the Hall, the project created an extraordinary opportunity to highlight the importance of sustainable design and its positive impact on New York City, providing an inspiring example of the adaptive reuse of a historic building. · Centralized control: Siemens Apogee building automation system integrates heating, venting, and air conditioning controls onto one platform that can be controlled both locally by end-users and from one central location by building engineers, or remotely, if desired. It also continually analyzes electricity demand and usage to manage overall building energy performance. 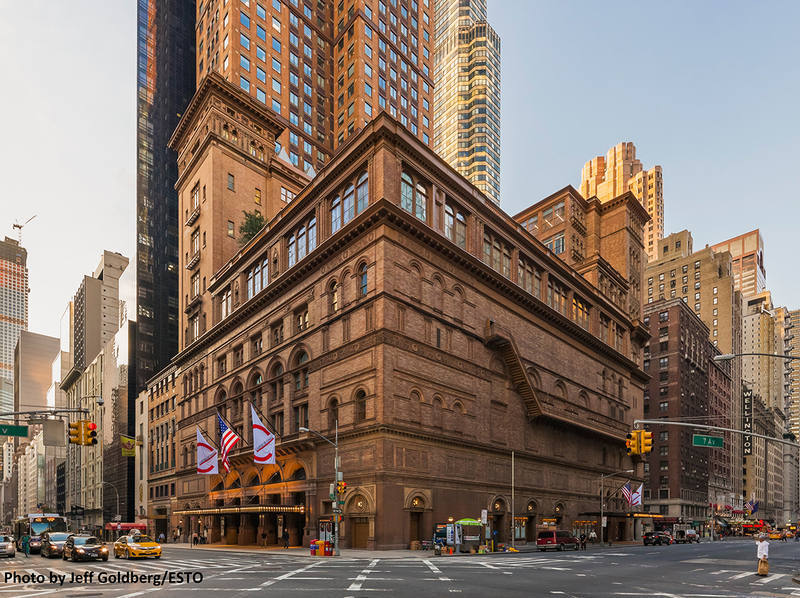 · Enhanced security: Siemens Sipass access control system addresses Carnegie Hall’s complex security needs by ensuring that only the right people have access to the right places at the right time. This is crucial, as Carnegie Hall has various access points and levels of clearance for building staff, students, and performers, among others. · Fire and life safety system: Siemens XLS Fire Alarm Systems’ advanced technology allows Carnegie Hall to ensure the safety of its occupants. If a fire is detected, the command-and-control station is instantly alerted and emergency control operations are engaged, including fire door closure, elevator capture, and air handler turn-on/shut-off, among other critical functions. An additional component of the overall project that helped Carnegie Hall achieve its LEED certification is a new 10,000-square-foot roof terrace with reflective pavers and plantings that reduce the heat island effect and the building’s overall carbon footprint. Thanks to the Hall’s 450 original windows on its upper floors, natural light has been maximized in the building’s renovation and design, which also incorporates the use of LED bulbs and occupancy sensors. Within the facility, lowflow plumbing fixtures also reduce the building’s water consumption. The Carnegie Hall project stands out as one of the most notable building technology and energy efficiency projects Siemens has ever completed. To date, Siemens technology has played a role in hundreds of buildings achieving LEED certification in the U.S.